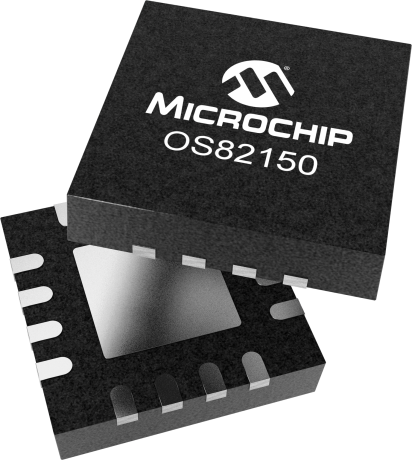 The OS82150 device broadens Microchip’s portfolio of MOST150 network solutions. It is a single chip coaxial transceiver that gives customers the choice to go for coaxial cables instead of optical fibers at a speedgrade of 150 Mbps. The design-in of the OS82150 is straightforward since it seamlessly interfaces to MOST150 INICs like Microchip’s OS81110. It can also easily be integrated into existing designs with the OS81110. Coaxial cabling has been used in vehicles for a long time. There are many automotive-grade cables and connectors available. The OS82150 extends the usage of coaxial cabling to powerful in-vehicle networks based on MOST150 technology. Video, audio, control and packet data are collectively transmitted over a single coaxial cable. This includes also IP data for IP-based applications like in antenna modules. Highest Quality of Service is guaranteed by the MOST network technology. 3D-navigation units, multi-channel audio amplifiers, programmable instrument clusters, head-up displays, and rear seat entertainment devices with crisp high-definition video displays are networked in an efficient topology based on coaxial cables. The OS82150 is designed for automotive-grade EMC. It integrates functions to minimize electromagnetic emissions and handle automotive EMI levels allowing for a smooth installation of the MOST150 network into vehicles. The signal and timing specifications of the OS82150 are compliant with the MOST Physical Layer Specification issued by the MOST Cooperation. The OS82150 features a low power sleep mode and a MOST150 compliant Status pin output to support activity detection for wake-on-signal functionality. The OS82150 includes a coaxial cable driver and a coaxial cable receiver in a single package. The integrated coaxial cable receiver features an equalizing function that provides automatic adaptation to various cable types and continuous compensation for initial and long term cable loss effects. These features assure a robust and reliable network connectivity. The OS82150 enables a completely electrical transmission path at a MOST speedgrade of 150 Mbps. It is a highly-efficient coaxial transceiver that ensures the optimization of total system costs.